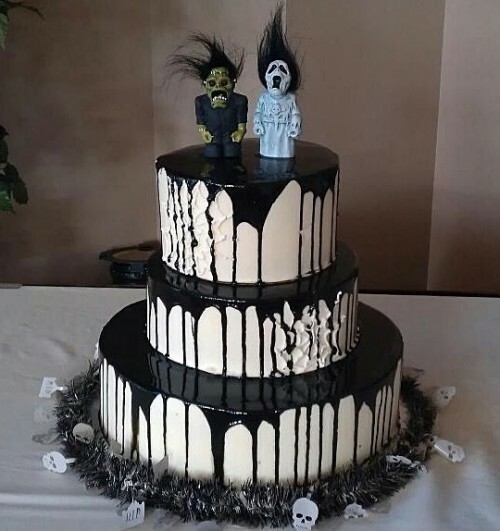 If your wedding takes place right on Halloween, you are probably looking for some peculiar décor, table settings and outfits. 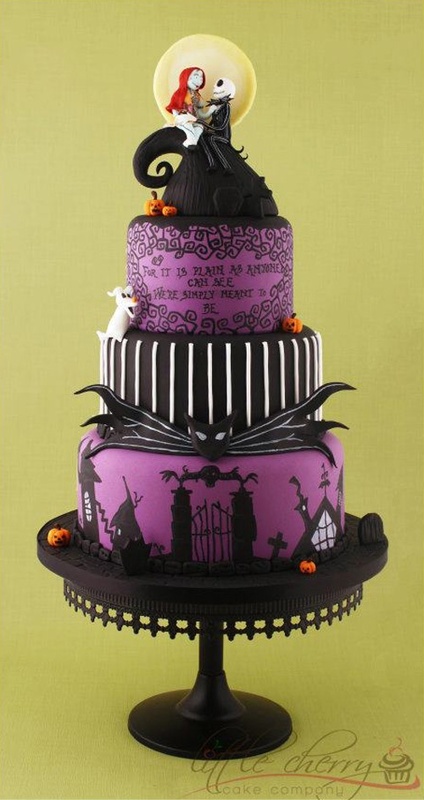 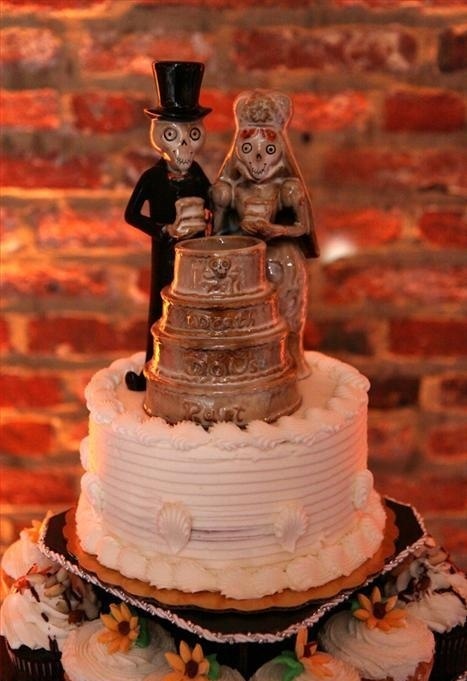 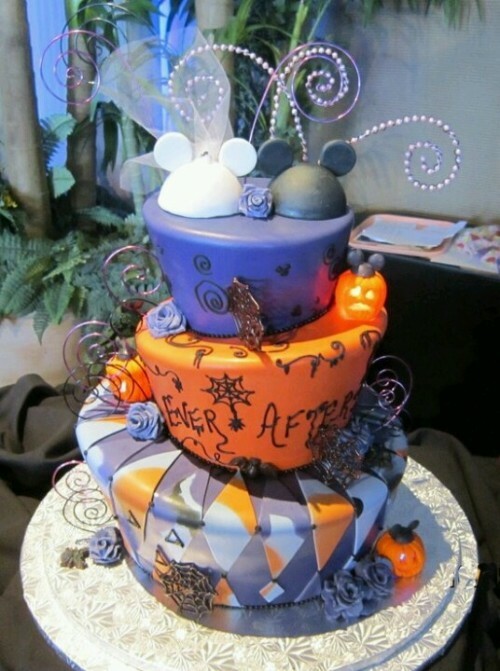 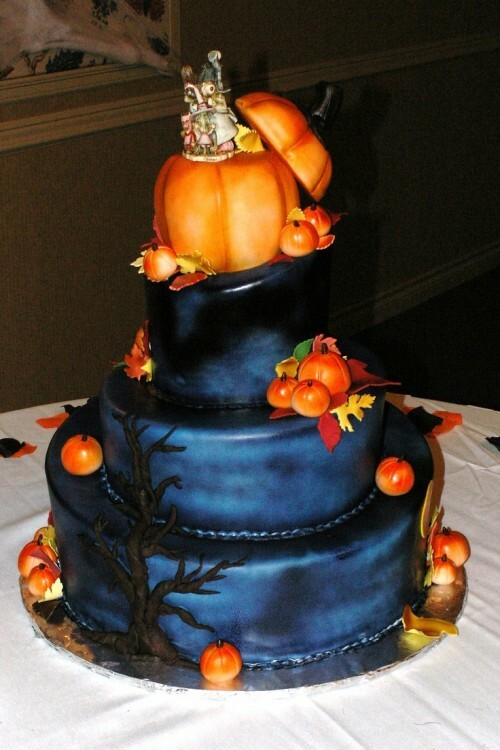 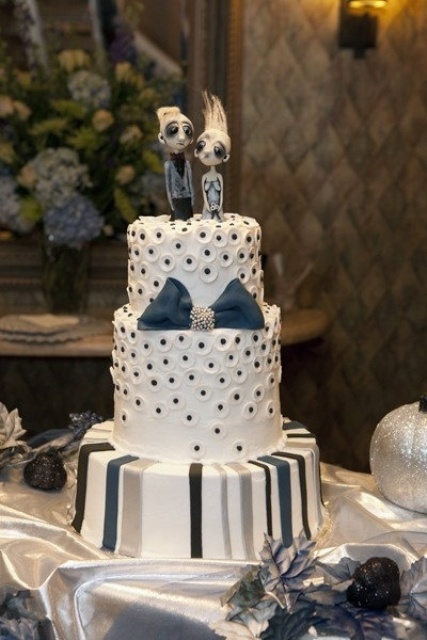 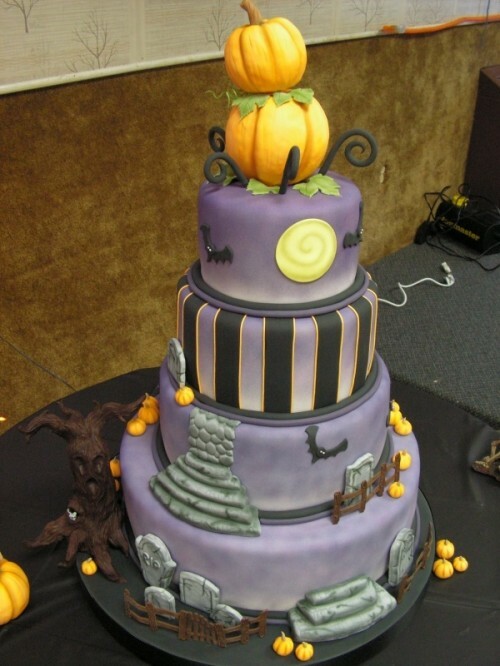 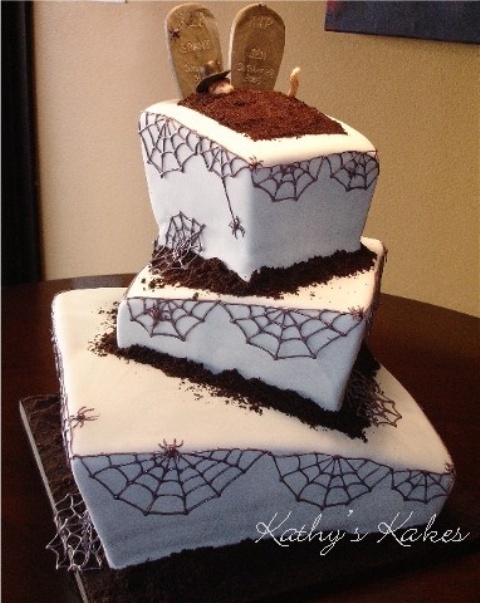 Don’t forget to surprise the guests with an unusual cake! 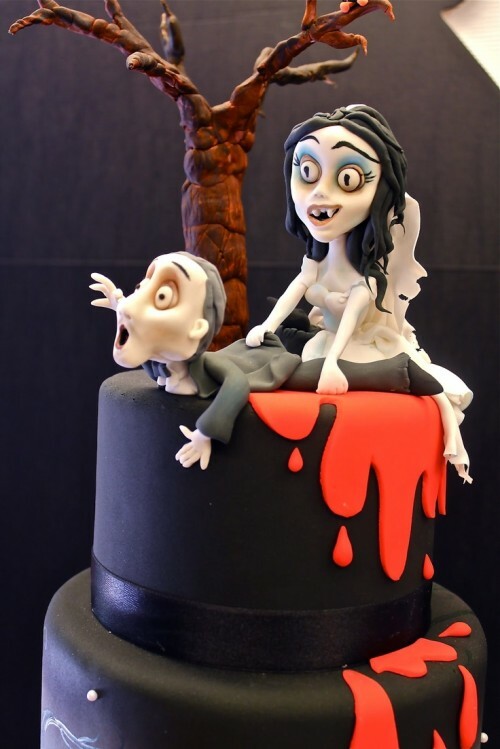 There are so many cool, funny and spooky ideas! 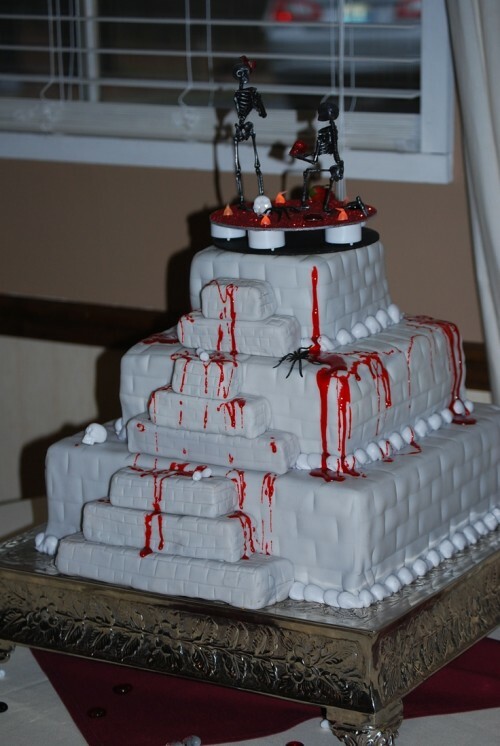 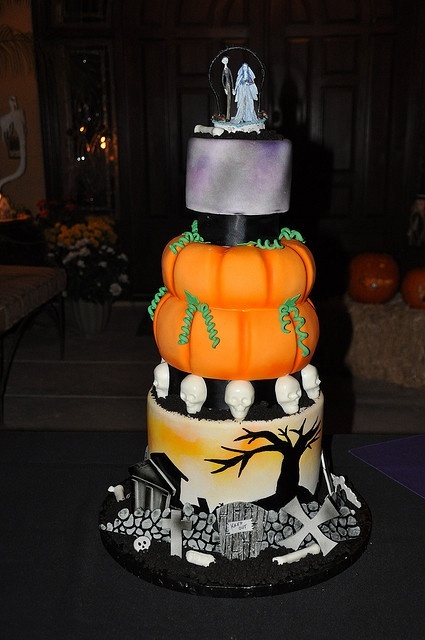 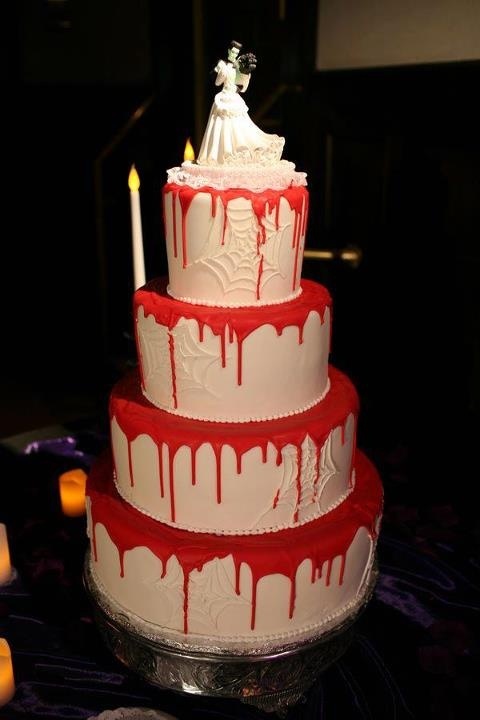 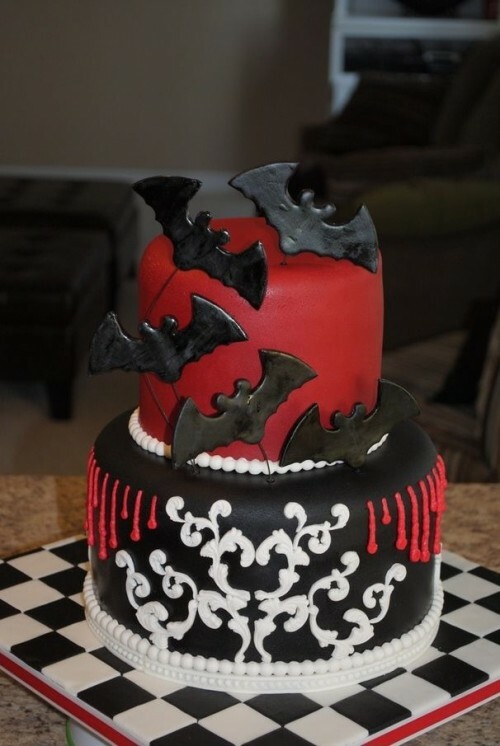 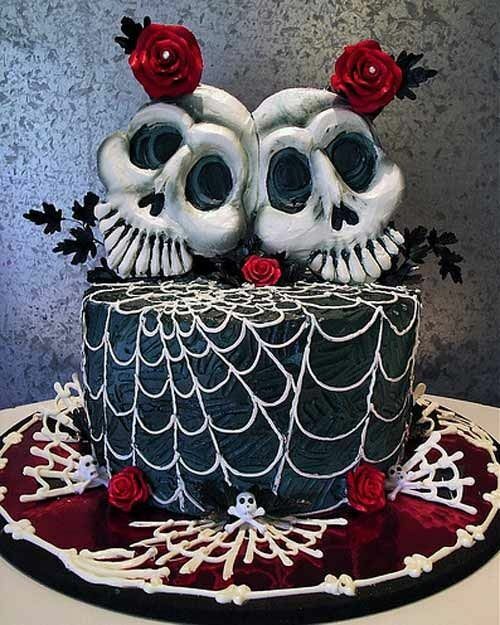 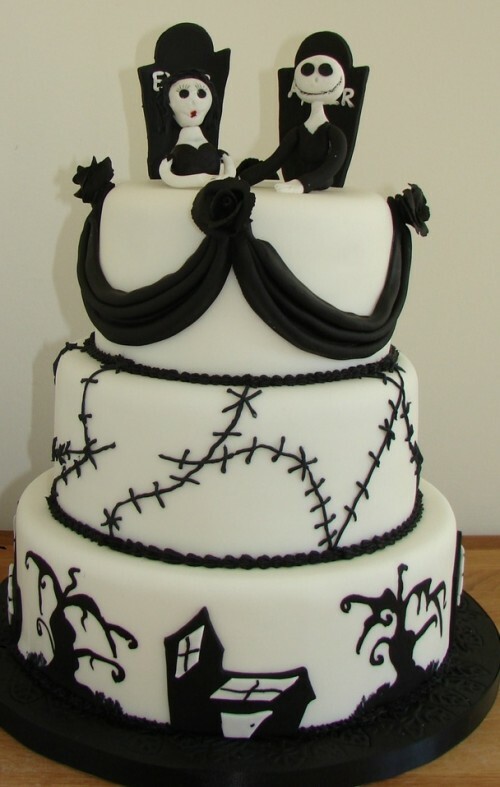 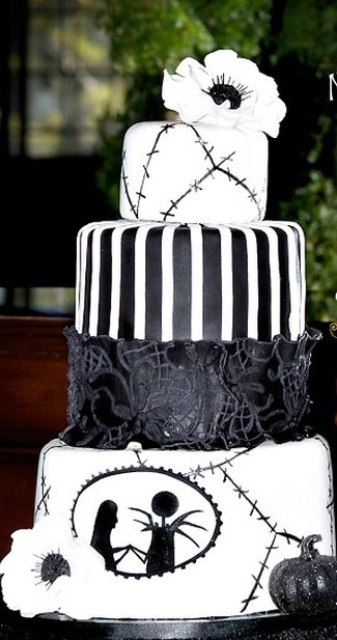 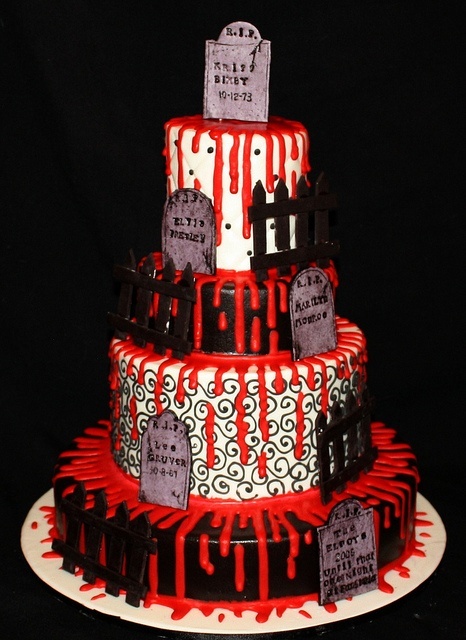 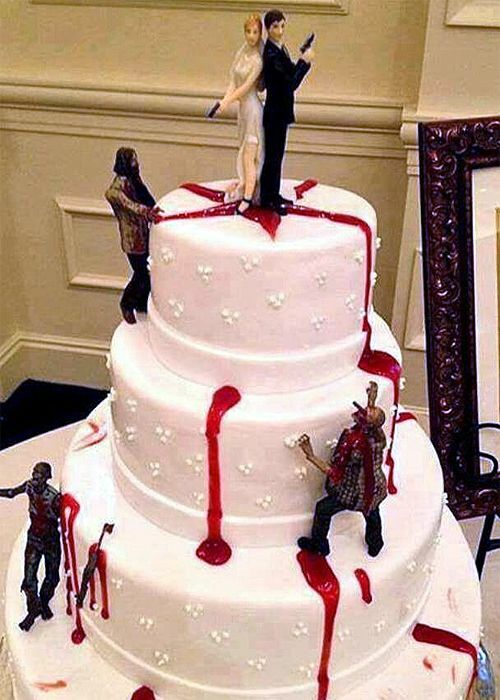 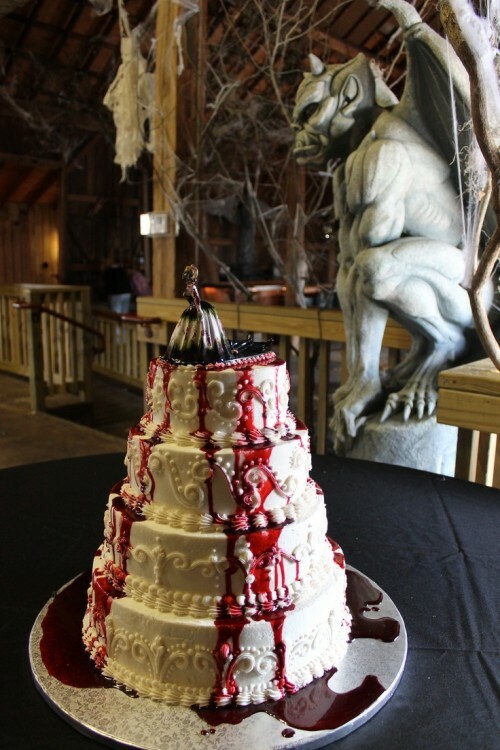 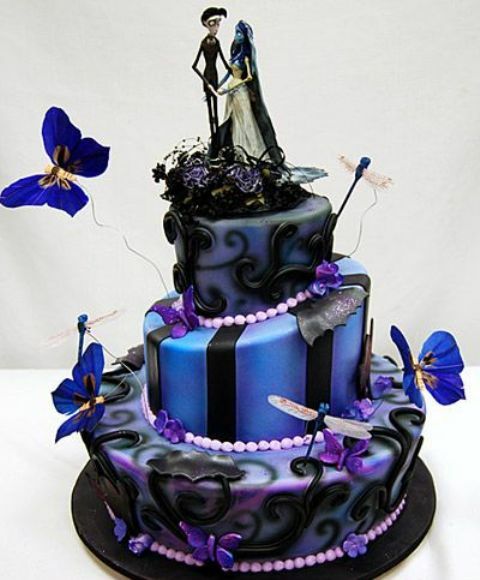 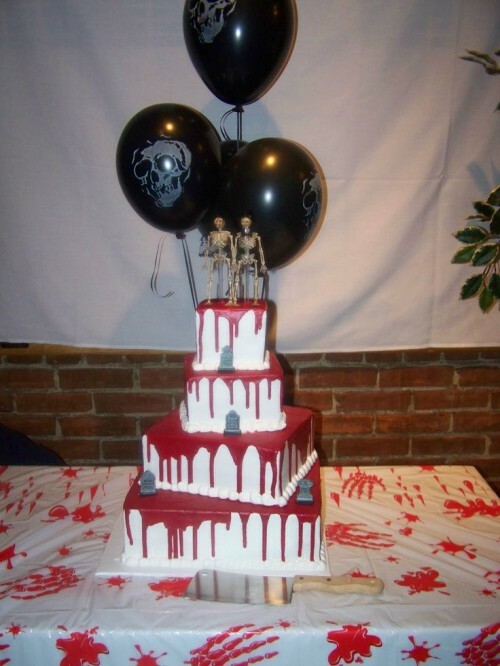 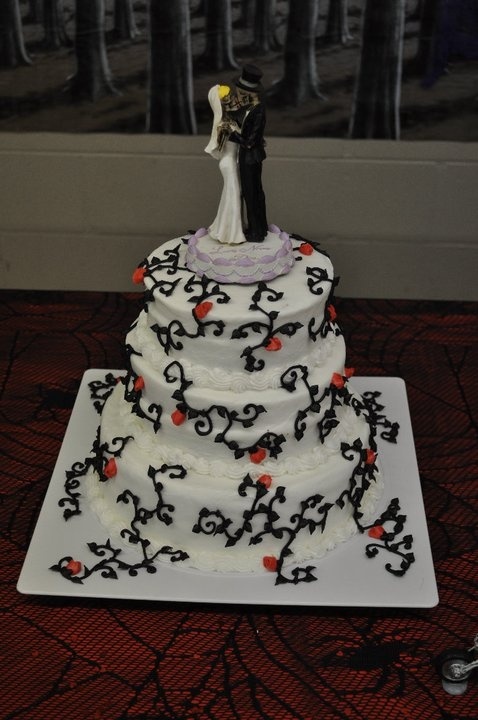 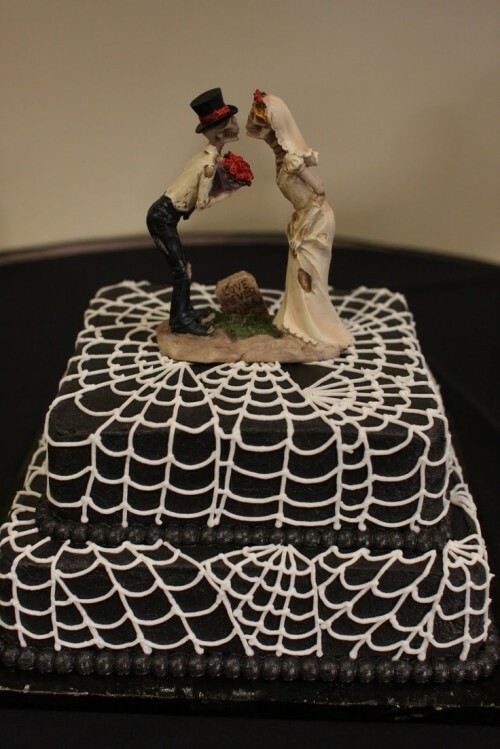 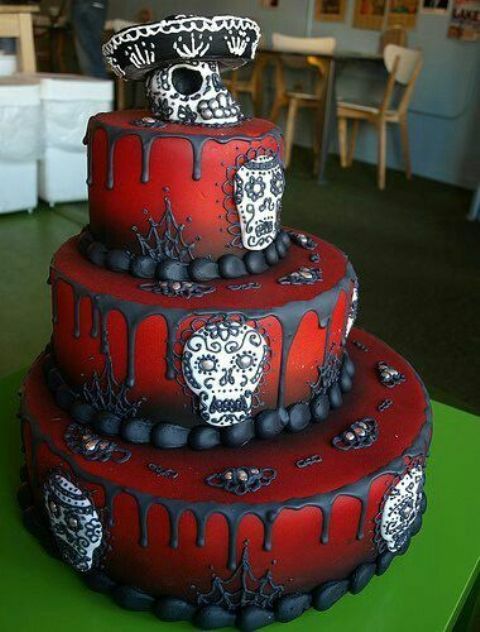 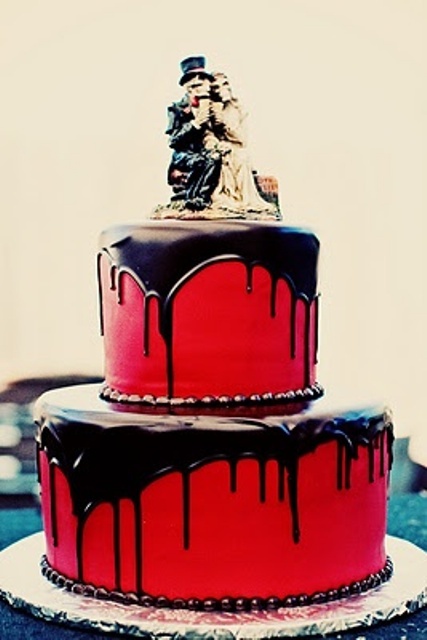 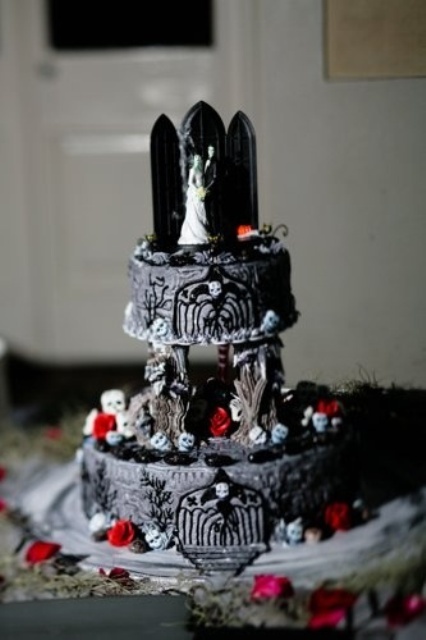 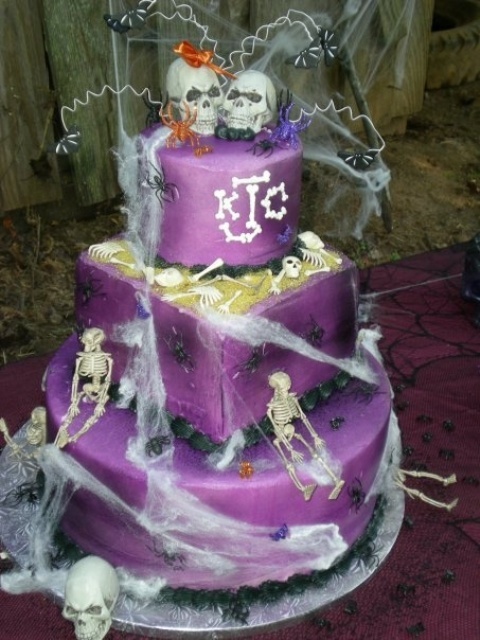 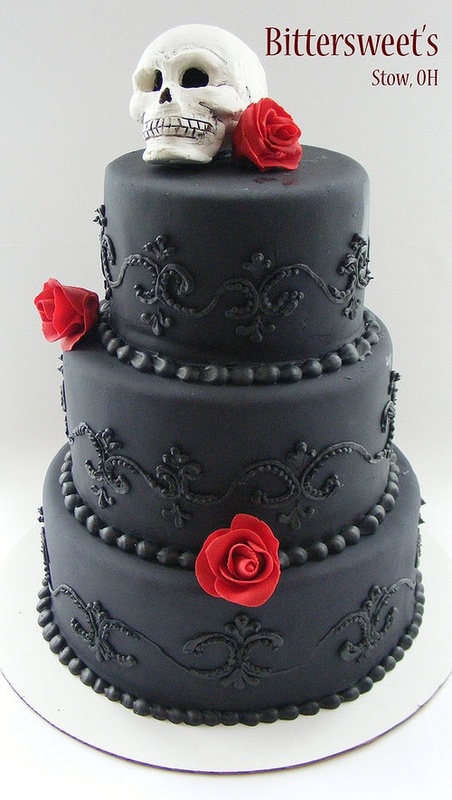 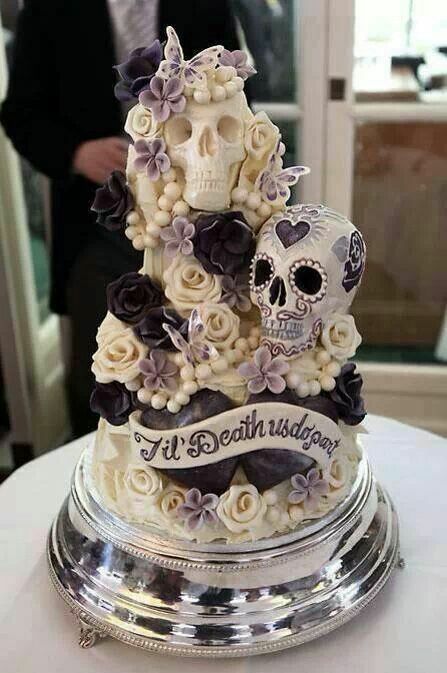 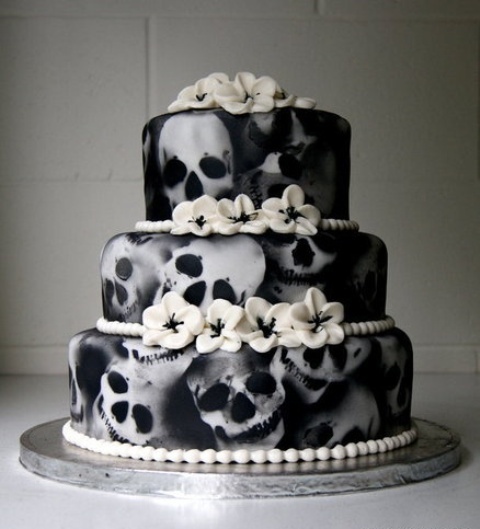 Walking Dead inspired cakes, zombie love cakes, vampire cakes, skulls and bats cakes and many others. 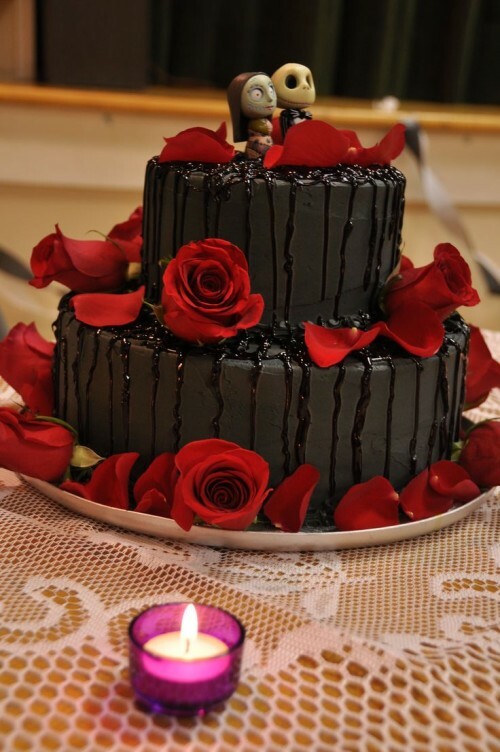 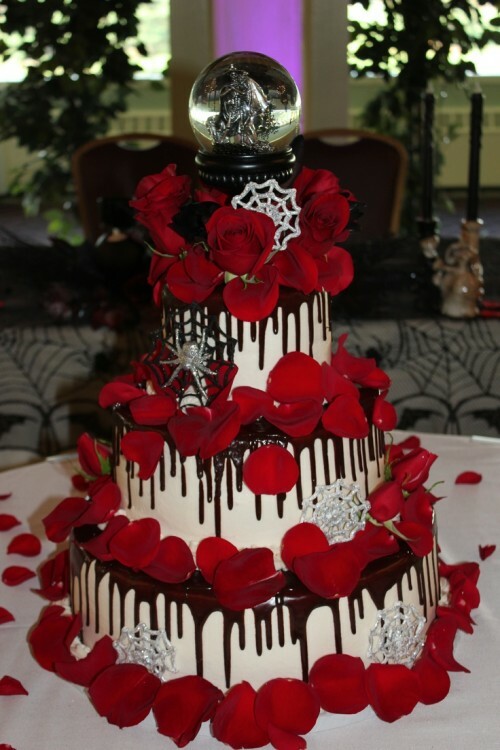 If you want some elegance, take a cake decorated with cream roses or rose petals. 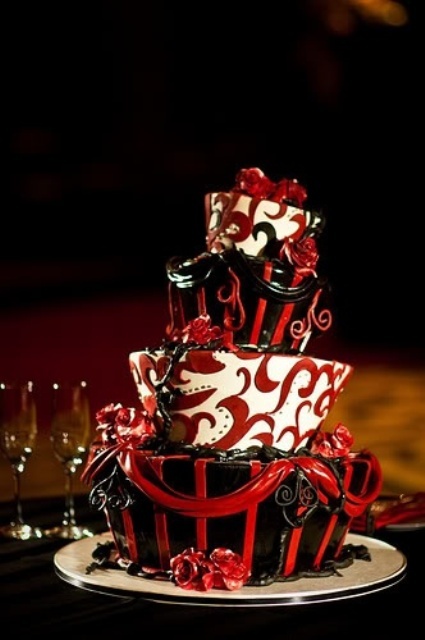 Wanna some drama? 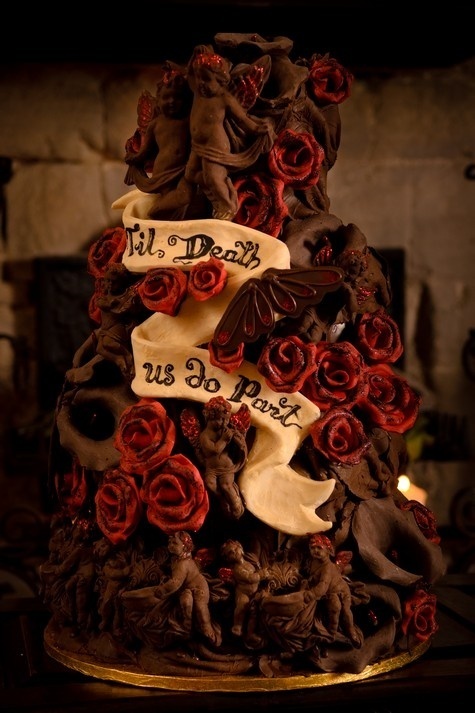 Make an inscription like ‘Till Death parts us’. 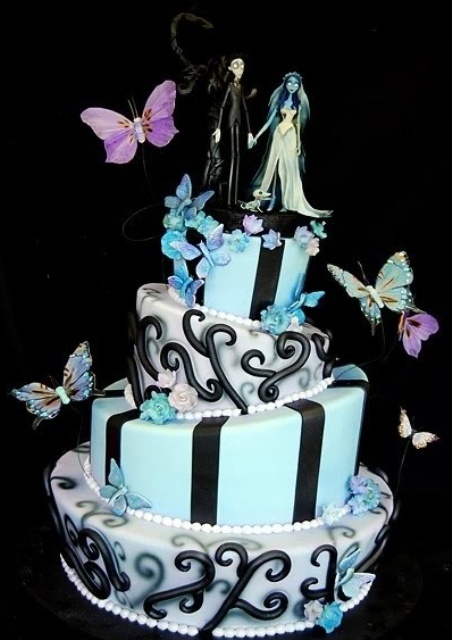 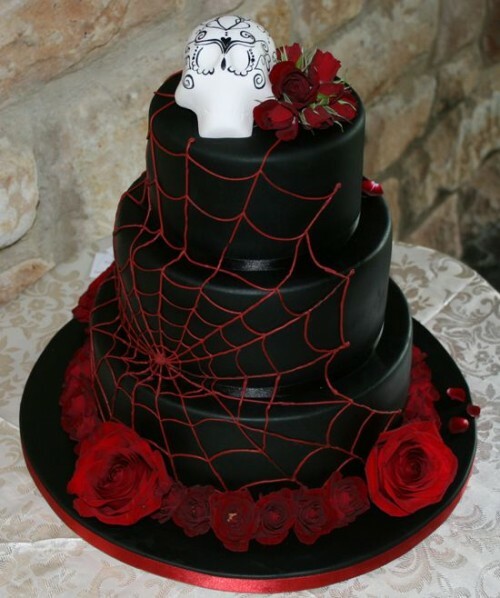 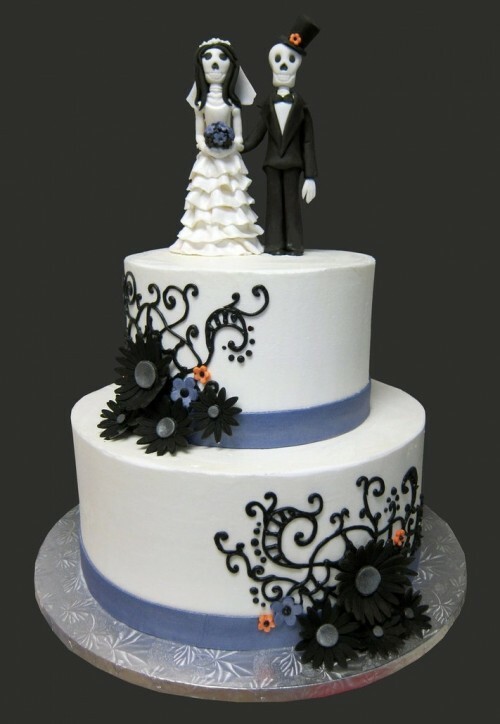 Black color is preferable, just like red and white but you may choose any color that is suitable for your big day. 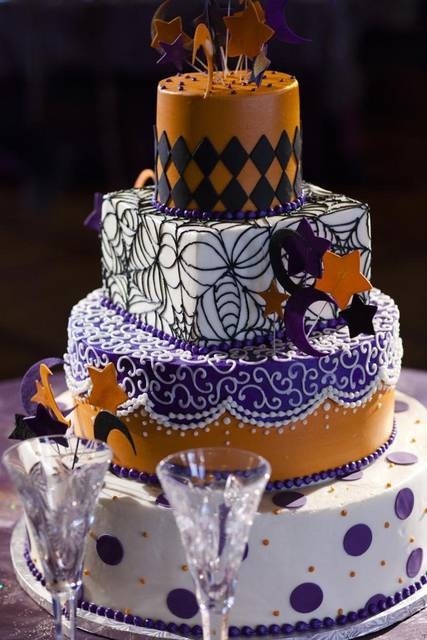 Look for some inspiring cakes below!